Full session payments are due at the time of registration. If you are unsure that you or your child is fully committed to dancing we recommend registering for our 4 week dance trial. Full tuition payments are non-refundable and non-transferable. Option 2. Monthly Auto-pay Installment Plan (these are equal payments of the session divided by months, so the payment remains the same no matter the month and number of classes). There is a $5.00 surcharge per month for this option. Mayama requires all monthly payment clients to have an active credit/debit card on file upon registration. Monthly tuition payments will be automatically withdrawn the 10th of each month. 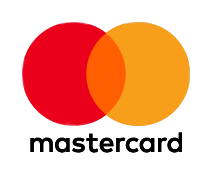 If the card is declined, the account will be charged an additional $20 late fee. It is the responsibility of the client to inform Mayama of any expired cards, new credit cards and lots/stolen cards. Mayama accepts late registration in the Fall through the end of September and in the Winter through the end of January. Classes will not be prorated for late registration. Late registration acceptance is dependent on class availability. All accounts must be cleared (tuition and costume fees) before May 10th of the dance season for your child to be able to participate in the recital. Accounts must be current prior to purchasing recital tickets. We accept personal checks, cash, and credit cards. Toddler classes run on 8 & 9 week sessions. Full tuition is due at the time of registration and is non-refundable. We do accept drop-ins to all toddler classes. We accept personal checks cash and credit cards. If a student does not attend class for three consecutive weeks and tuition is not paid, the student will be dropped from the class without notification and a space will become available for other students. Mayama does not issue refunds. We will issue studio credit on a case to case basis. Students may join available classes in the first month of the session, but the monthly fee/full session fee will not be prorated. Mayama does not prorate tuition for missed classes. Nine and eight week programs are non-refundable. If you are uncertain that your child will enjoy the class, we recommend that you try the class one time at the drop-in rate of $15.00. When a student is absent they can attend a similar dance class to make– up the missed class. The total value of lost dance days due to holiday or holiday breaks has been considered and is reflected in the tuition amount. There are no additional refunds or credits for missed dance days due to holidays, vacations or illness. We do hold registered classes on the following days if they fall within session dates. In the event that the studio must be closed due to weather or an instructor emergency, a make-up class will be scheduled. The instructor will do their best to notify all students and parents if a class must be canceled. No food or drinks of any kind (water in water bottle is ok) are permitted in the dance studio. All food and drinks must be kept outside of the studio in the lounge area. Students are not permitted to chew gum in the dance room. Absolutely no “street shoes” (those that have been worn outside) are permitted on the dance floor! Even if certain types of dance (classical ballet, for instance) do not involve floor work, many of our dancers, yogis, toddlers and movement artists often dance barefoot and come in close contact with the floor. Please help us keep the dance surface clean in order to keep the studio looking nice and to preserve our dance floor. Dance shoes are not to be worn outside for any reason! They are to be worn inside only. Shoes that are used for hip-hop or breakin’ must be dedicated as “dance shoes”, be cleaned thoroughly. and not be worn outside. Parents are asked to stay in the lounge area during their child’s dance class. Classes will be conducted with the studio doors closed. This avoids distraction from the entry hallway or office. Parents are asked to wait to watch class until they are invited into the studio during parent observation weeks. Please make sure dancers arrive 5 to 10 minutes early to class so that students are ready to begin when class is scheduled to start. Please make sure they have used the restroom, gotten a drink, pulled back their hair and put on their shoes. Students should not touch the mirrors or curtains (both for safety and to keep the glass in the studio smudge-free). The use of vulgar, profane, or obscene language or gestures is not permitted. Students are expected to behave courteously, act responsibly, and possess good manners. 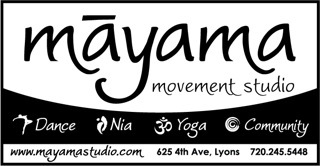 Students are expected to respect the rights of all others participating in activities, classes or events hosted or attended by Mayama Movement Studio. Initial Conversation: The teacher or director will discuss problematic behavior with the dancer. As well, the teacher ordirector will follow up with a conversation (in person or by phone) with one or both of the parents or guardians of the dancer. First Consultation: The director may require the parent(s) of any child who attends the studio to meet for a conference. The problem will be defined on paper. Goals will be established and the parent will be involved in creating approaches towards solving the problem. Second Consultation: If the initial plan for helping the child fails, the parent(s) will again be required to meet with thedirector. Another attempt will be made to identify the problem, outlining new approaches to the problem, and discuss the consequences if progress is not apparent. Suspension: When the previous attempts have been followed and no progress has been made towards solving the problem, the child may be suspended from the studio. The studio may immediately suspend a child at anytime he/she exhibits a behavior, which is harmful to him/herself or others. A parent may be called at anytime the child exhibits uncontrollable behavior that cannot be modified by the instructor. That parent may be asked to take the child home immediately. Not observing the Code of Conduct. Please be punctual. Late arrivals disrupt class and can be the cause of injury to a dancer who is not properly warmed up. It is up to the instructor’s discretion whether or not a late arrivals are able to join the class (based on how late the student is, the safety of the dancer and the needs of the rest of the class). Please be attentive in class and refrain from non-dance related chatter. Class time is precious. We are glad that students have fostered close friendships with each other, however, we ask that dancers do not take up class time to socialize and catch up on what happened over the weekend. No matter the level of a dancer, there is no excuse for talking during a class or rehearsal. It is disruptive to fellow dancers and disrespectful to the teacher. Please abstain from talking during class as much as possible and show your teacher/the choreographer that you are focused and eager to learn. Regular attendance is strongly encouraged. A dancer that is habitually absent disrupts the ability of the class to learn efficiently. If students are injured or ill (but not contagious) we recommend that they attend class to observe their peers. Watching class can often be as much of a learning experience as taking class. Class placement will be determined prior to the session and level recommendations will be emailed when registration is open. Please respect the decisions made by the dance faculty. Dancers will be placed in their classes based on their level of technique, retention, effort and attitude. The students age is not a deciding factor for level placement. Questions, complaints, or concerns regarding placements need to be addressed with the dance director. Costumes are ordered by the dance director. It can take up to 4 months to receive costume orders. An email will be sent out detailing dancers measurements and costume payment. Once costumes arrive, students will try them on during class to be sure they fit. Please do not wear costumes prior to the recital or competition (if your dancer is in the Defined Motion team). After all performances are complete, the costume is yours to keep. The lost and found is located immediately inside the front door. Please check it regularly - we frequently empty our lost and found by donating it to Lyons Reruns. Email is the main way that we communicate with parents and students, please be sure that we have your most current email on file.